Do you rely on a combination of dedicated staff, float-pool technicians, and interns? Is it hard to back-fill when someone goes on vacation? Whether you’re scheduling for an in-house pharmacy, at a hospital, or work for a pharmacy staffing company — balancing the schedule across full-time and floating staff is time consuming. Shiftboard’s pharmacy scheduling software can simplify your process through giving you 24/7 web and mobile access for all your staff. You can also streamline communication with your mobile workforce and get full coverage reporting across locations. With Shiftboard, you can run your pharmacy scheduling software from anywhere, on any device. Shiftboard includes a mobile employee scheduling app so your entire operation is accessible 24/7. We’re dedicated to your scheduling success, so we guide you through the onboarding process and offer robust support after you have Shiftboard set up. When you choose our software for your pharmacy scheduling needs, you can focus on providing the highest quality of service. Fill shifts quickly and accurately—ensure every job is filled by a pharmacist, technician or intern with the proper certifications and access based on their availability, overtime restrictions, location preferences, etc. Streamline communication with your pharmacy staff without having to hit the phone tree every time there’s a change in start time, location, etc. 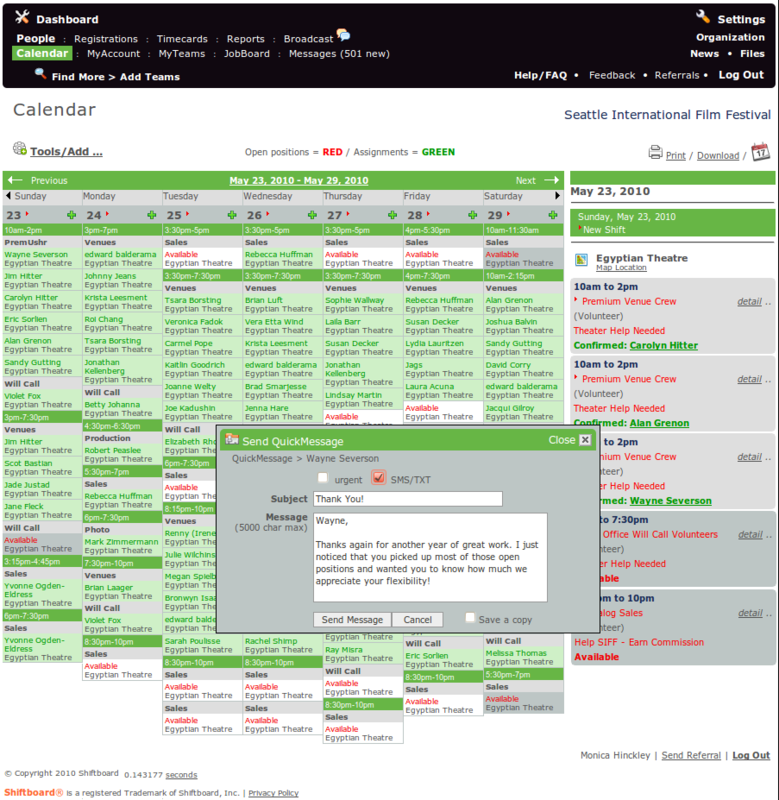 Manage complex float pool scheduling with the ability to schedule for multiple locations from one scheduling center and avoid double booking staff members. Stay connected with mobile text messages, alerts, and notifications for last minute updates to the schedule. 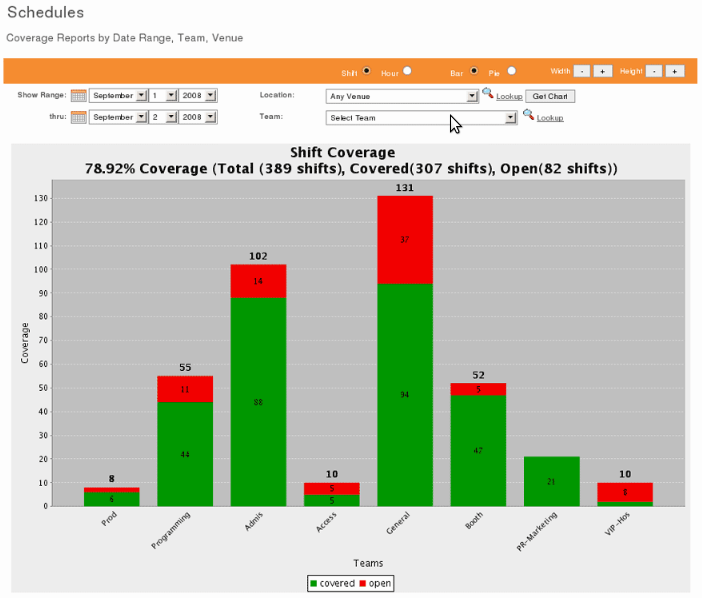 View coverage gaps and real-time schedule status by day, week or month across departments and locations.